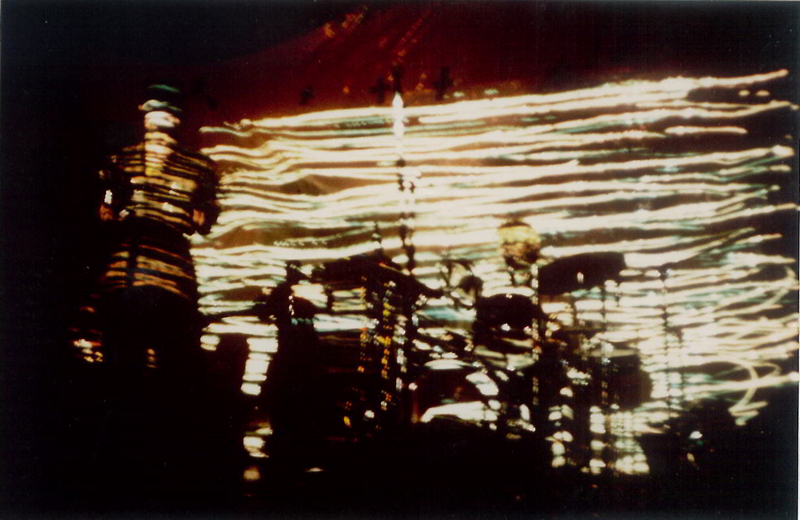 ‘The Spike’ was recorded during the period 1984-1985 and published by the Berlin based Dossier/Atonal label while the group were involved in organising the Berlin Atonal festival. Parts of Side 2 of the album is a recording of pieces made for a dance and film performance at the Bloomsbury Theatre in London in 1985. Simon Crab: Electronics, Guitars, Tapes, Other Instruments. Dave Henderson. ‘Sounds’ UK. July 12th 1986. Bourbonese Qualk’s music has an immediate effect, the tracks flow almost unnoticeably from one to another to form an organic whole. Inside this process however a lot of small things happen that attach themselves to your senses and take control. Bourbonese Qualk’s music has got a kind of ‘Body-ness’ their special sound-treatments have got a magical hallucinating effect. You are absorbed into the strong, fluctuating stream of noises and then awakened by a loud, very loud strident noise! In this way there is no difference between ‘The Spike’ album and the other three – ‘Laughing Afternoon’, ‘Hope’ and ‘Preparing for Power’. There are separate track titles but the tracks are mixed as a whole, those on side 2 are a long composition made for a ‘ballet’. This side also begins with ‘Call to Arms’ – war cries from the trenches that blast out very loud and lively from your speakers because it’s deliberately recorded too loud. Straight away the next track ‘Frontline’ begins, contrary to what you would expect from the title this is a rather soft waving piece, the intensity floats away. Side one is energetic and it’s better to compare with the other three albums, especially the suggestion of overflowing tension! of this Bourbonese Qualk are the masters as you can hear from the track ‘Shutdown’. 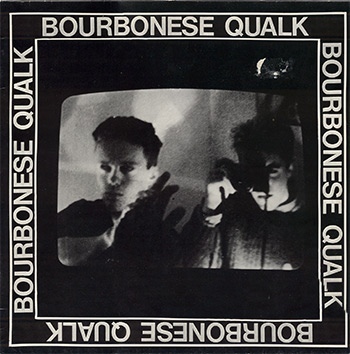 Bourbonese Qualk have a sound that penetrates your skin like radioactive fallout, this is first class frontline music! ‘Vinyl’ Magazine. The Netherlands. March 1986.